Jayaram Basgod of Buhler India at Asia Coat + Ink 2019. 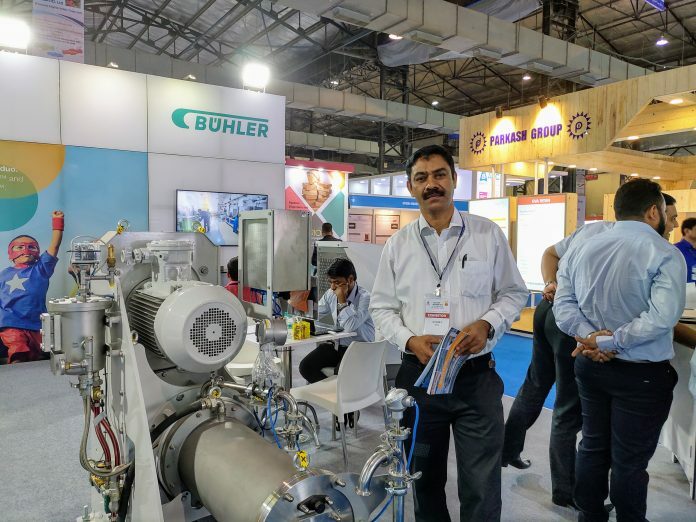 Buhler India’s Grinding & Dispersion Technologies division displayed its Cenomic flexible full-volume bead mill at Asia Coat + Ink 2019 show being held at Bombay Exhibition Centre in Mumbai. Buhler India, a part of the Swiss Buhler group, is based in Bengaluru with its manufacturing facility for Cenomic based in Switzerland and China. 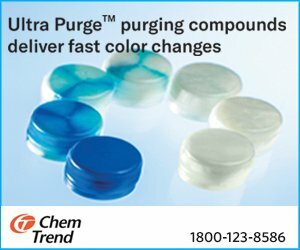 Cenomic mills are ideal for printing inks, paints and coatings, and chemical industry/specialties and minerals and ceramics industry, says Jayaram Basgod of Buhler India. The Cenomic concept assures reduced specific grinding costs due to higher flow capability without compression of grinding beads, due to the counter flow conveying EcoMizer discs. Because of the consequent use of wear-resistant proprietary materials, a reduced clearance between the outer diameter of the discs and the mill cylinder can be achieved. This leads to an increased grinding efficiency and longer service life. In comparison to other full-volume agitated bead mills, considerably smaller grinding beads can be utilized with the highest degree of reliability during operation. Buhler India also displayed the MacroMedia pre-dispensing solution at the event. MacroMedia improves the quality of the final product, speeds up processing and cuts costs, according to Basgod. 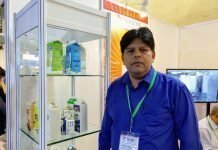 Talking about the usage of inks in the printing and packaging industry, he says that ink demand in conventional offset printing segment is extremely anaemic and demand is mainly being driven by the packaging industry. 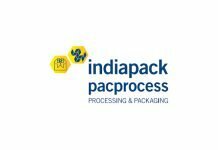 “The growth is coming from the consumer market side, mainly FMCG sector, which is directly influencing the packaging ink market. 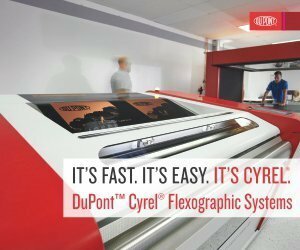 This is for both gravure and flexo ink applications. 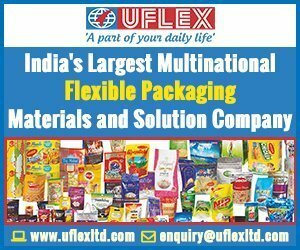 In offset segment, the growth is again being driven by packaging applications such as paper and paper board-based packaging applications,” he says. 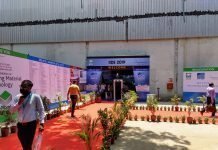 According to Basgod, the demand for flexo inks is expected to see a very robust growth in the coming years as greater number of flexo presses get commissioned in India. “The number of flexo-based applications in the packaging segment is increasing in flexible packaging and corrugated and corrugated boxes,” he argues.